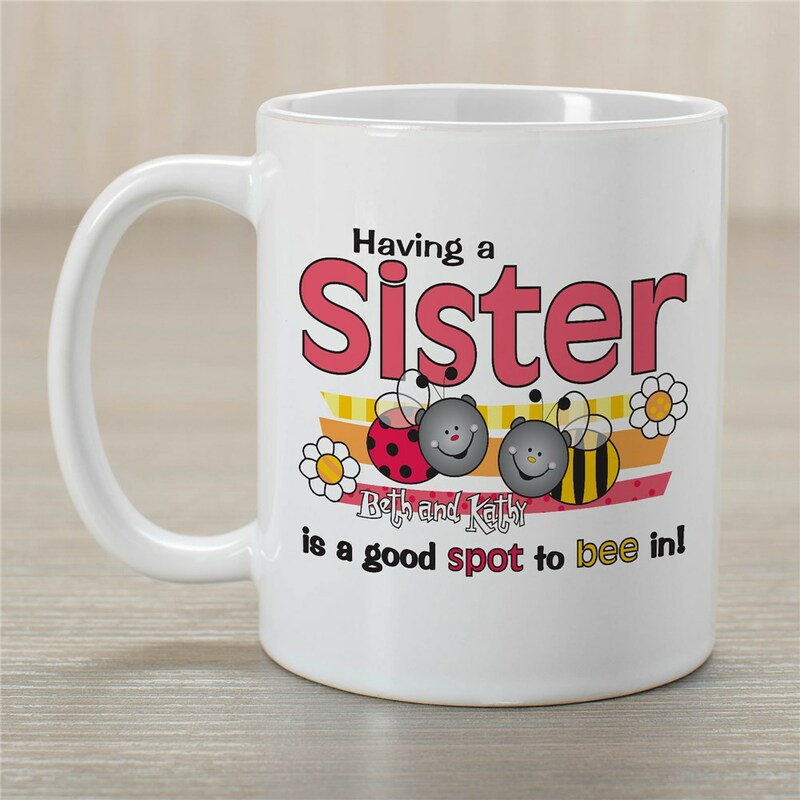 Show that your sisters are truly the best with these sister Customizable Coffee Mugs. Our collection of Personalized Mugs are dishwasher safe and available in different sizes ranging from 11 ounces to 20 ounces. Free personalization of any title and up to 6 names are included. My sister is going to love this when she sees it. I know I do.